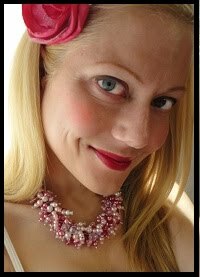 jewelry by jessica theresa: New Classic Collection Listings! Option #1: This first Classic design is the most detailed, as it features intricate beading along the sides of the necklace, before the beads split off into the cascading strands across the base. Each side of has three strands of colored glass pearls, glass seed beads, crystals, and a vibrate metal chain, all of which are intricately twisted together to make a stunning single strand. The base of this "Option #1" Classic necklace features 6-8 strands of assorted sizes of polished glass beads and glass pearls, accented by sparkling silver crystal beads and silver-plated metal beads. Each strand is slightly longer that the strand above, creating a beautiful, layered cascade of beads across the chest. 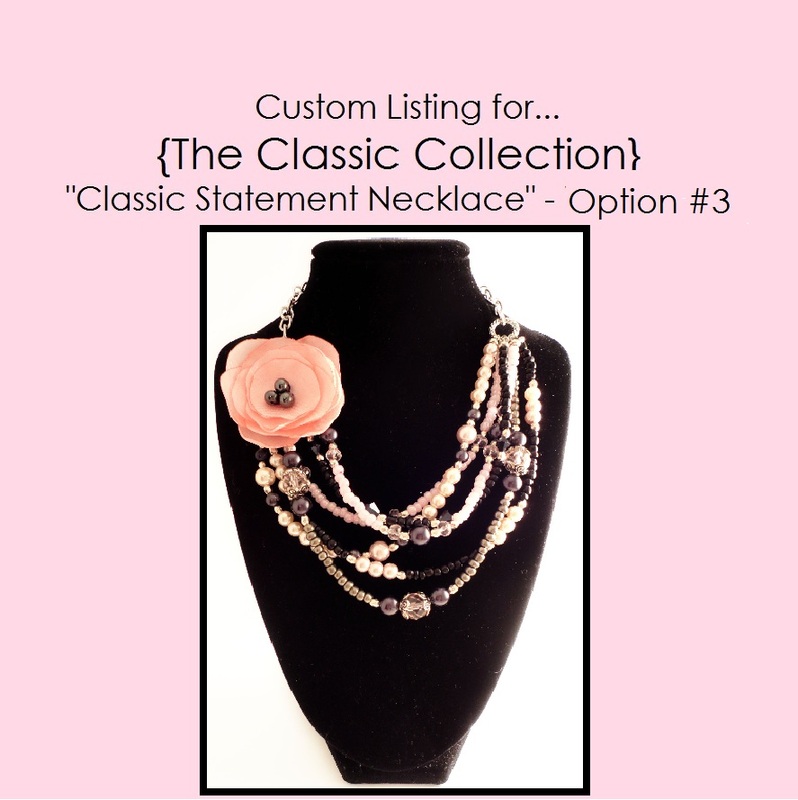 Retail price: Only $65.00 for a custom necklace made with all YOUR preferred colors! This price also includes 2 fabric flowers that will be made to perfectly coordinate with your chosen colors. These flowers are completely removable and adjustable, as they will be attached to the necklace with sturdy silver-plated brooch pins and can be repositioned as you wish. Option #2: This second Classic design features three to four "classically" draped single-strands of brilliant glass beads in various sizes and shapes. 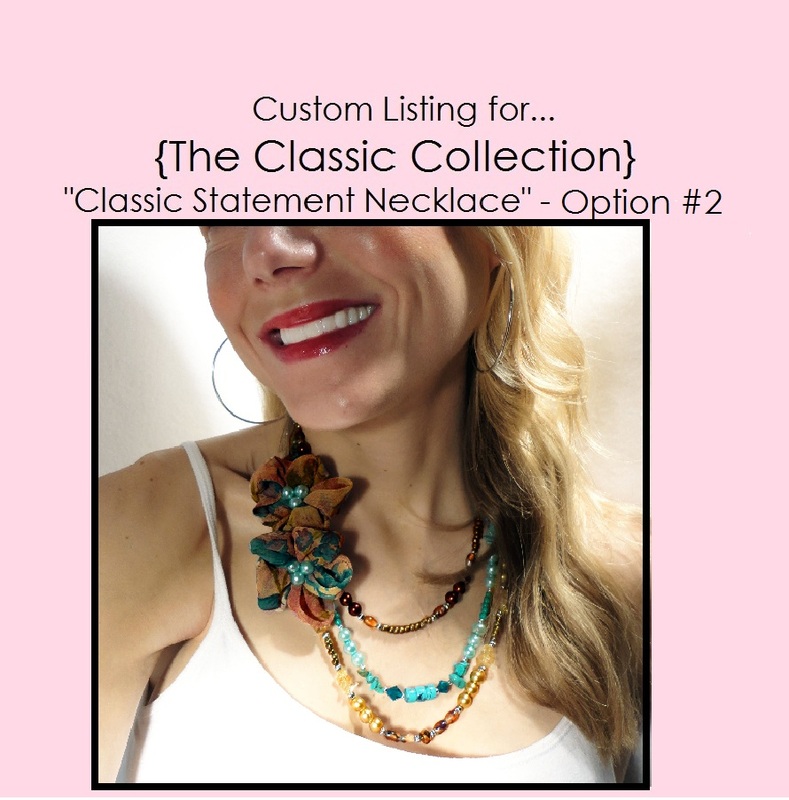 This "Option #2" necklace is the most traditional, as the single strands lay by themselves, perfectly positioned across the chest. Each strand is highlighted by polished glass pearls and beads, and is accented by faceted crystal beads and silver-plated metal beads. Retail price: Only $50.00 for a custom necklace made with all YOUR preferred colors! This price also includes 2 fabric flowers that will be made to perfectly coordinate with your chosen colors. These flowers are completely removable and adjustable, as they will be attached to the necklace with sturdy silver-plated brooch pins and can be repositioned as you wish. Option #3: This third Classic design features 6 to 8 cascading single-strands of glass beads and pearls in various sizes and shapes. Each strand is made of varying lengths and then layered on top of one another to make a beautiful cascade of beads across the chest. Each single-strand is highlighted by polished glass beads and pearls, and accented by faceted crystal beads, glass seed beads, and silver-plated metal beads.